Linked products is a mechanism for sharing fundamental product data, such as inventory, status, variants, etc between multiple products. This allows for having distinct SEO related product information such as descriptions across different stores while still maintaining a single inventory. This is accomplished by allowing each product to be used as a “master” product; if you wish to create a view of that product with distinct information for a particular storefront, you can take an existing product in your catalog and create a linked product. Linked products will share particular information with the master. Information that is not inherently shared with the master can be overridden on the linked product. You can then display the linked product in a separate storefront, complete with the distinct information. 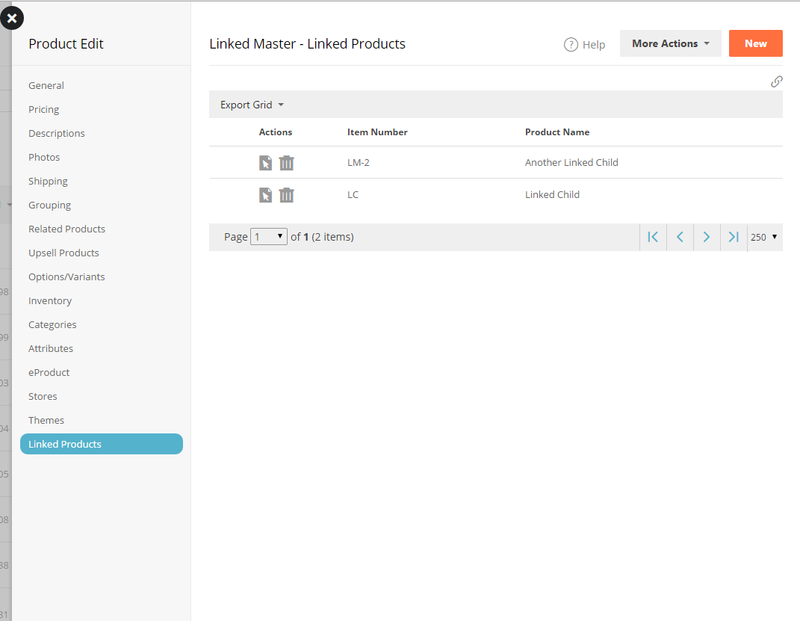 To create a new linked product, you will locate the desired product to use as the master product in the admin console and edit it. 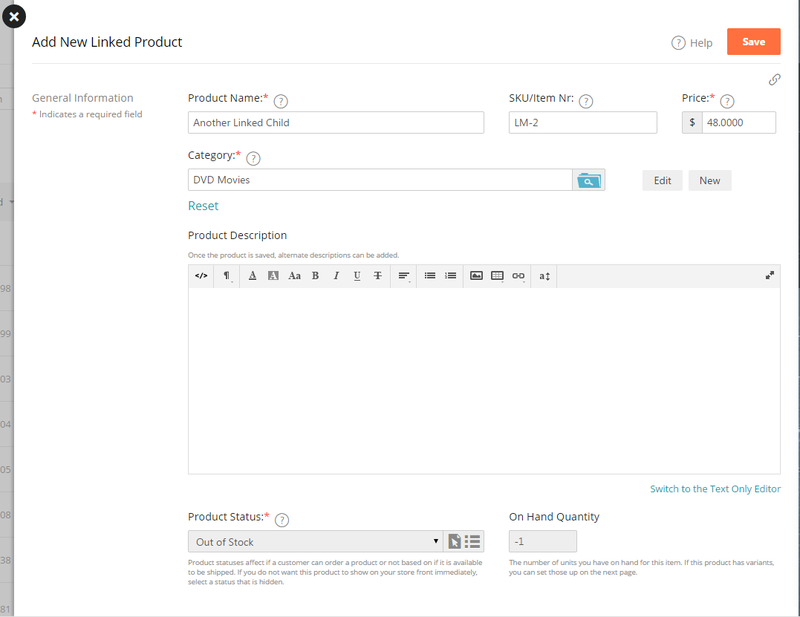 So for example go to Catalog > Products > Edit Product and you will find in the editor the option to create a new linked product under "Linked Products". You will not be able to link two existing products together. One master product can have any number of linked products. A master product cannot be linked to another master product. A linked product cannot be linked to more than one master product. 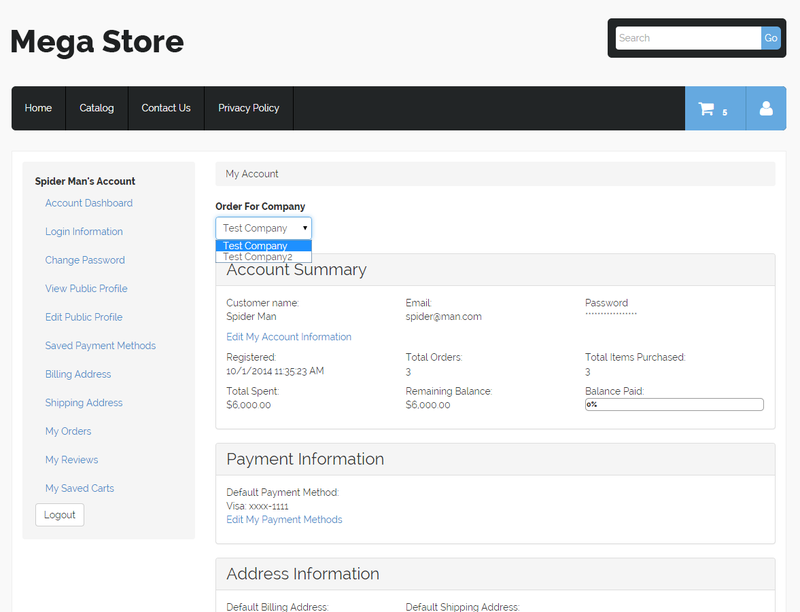 We will auto generate a SKU when creating a linked product, it can be changed if desired. The following fields/information will be inherently shared between master products and all linked products. They cannot deviate between master/linked products and thus cannot be different across storefronts. · Shipping flags and configuration not explicitly stated as shared above. · All other product information not explicitly stated as shared above.